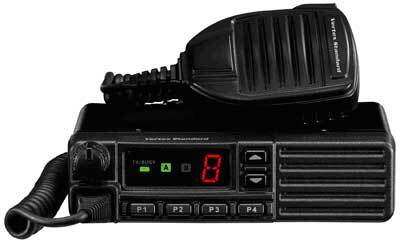 I would like to present an “easy to follow” article on Two-Way Radios and Licensing procedure. In a short article such as this, one cannot present all, but hopefully enough to help clear some confusion. Some of this article has been culled from previous articles, I will try weed out the repetition as I go along. WHAT TYPE, 29MHz AM or FM? The virtues of 29MHz AM radios are many – they are relatively cheap and many Clubs and 4x4 drivers make use of them. They are priced at around R800 – R1100 excluding antenna & installation. Their reliable operating range is anything from about three to fifteen KM or thereabouts, but this varies greatly with weather conditions and time of day, as well as area of operation and motor vehicle suppression..
Pros: Relatively cheap; fairly popular and in common use by many Clubs & Organisations. Licences quick & easy to obtain. Cons: Very few Manufacturers of these units as it is no longer considered a serious Commercial product. Reception is hampered by poor weather conditions and electrical impulse noise, particularly with petrol engines. 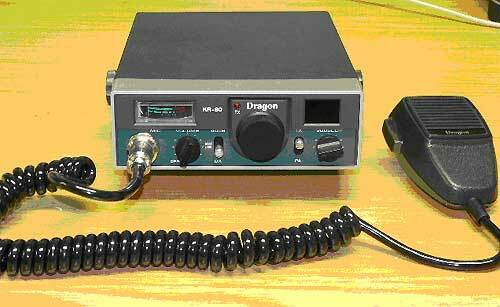 The most common FM radios operate on VHF, which is a range of frequencies within the 146-174MHz band. FM radios offer very good distances, anywhere from about 25-50Km between mobile units but once again dependent upon terrain! They are powered at 25W RF and are relatively immune to interference caused by atmospheric or electrical conditions. The radios are not freely available over the counter however, because of stringent ICASA licensing requirements. Upon receiving a Licence, you will not be granted a country-wide frequency, but one for your own private use and it will not necessarily be the same as that in use by any Club or other user. In fact, other than joining the local chapter of a 4x4 Club and making use of their allocated frequency, you might consider getting together with some local pals and forming your own 4x4 club, writing a constitution, and obtaining a licence in the name of your new club. More on this later. Cons: Price varies from R1800-R2000 excluding antenna & installation. Waiting period of some 6-8 weeks for ICASA licence, not yet in common use by 4x4 users. * 5/8 Antenna, normally side- mounted on the door pillar behind one of the doors. This type of antenna is designed for this application and will produce good results. Of the two types, I prefer the former for mountainous terrain, the latter for flat countryside. Pictured below are two typical VHF/FM Radios, the Kenwood TK7102 4-Channel unit, and the Vertex VX2100 8-Channel radio. Both radios feature Channel Scan if required.